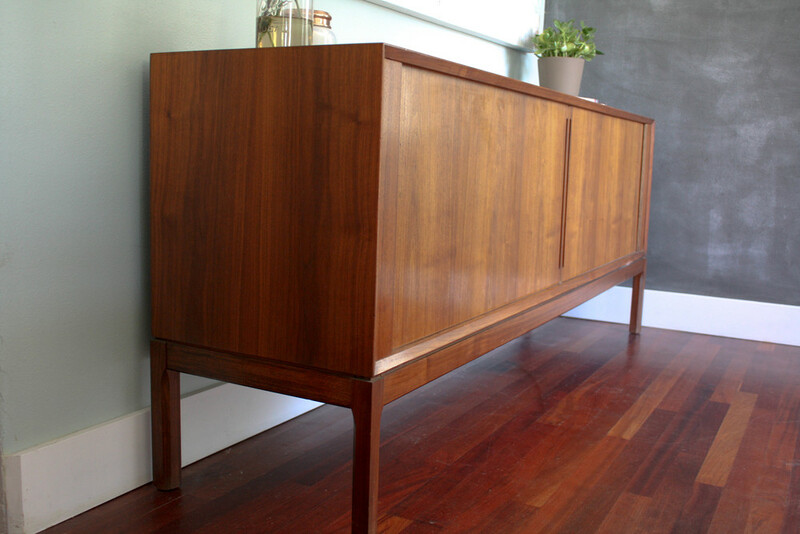 A beautiful Danish teak tambour door credenza by renowned Danish designer Aksel Kjersgaard Odder. 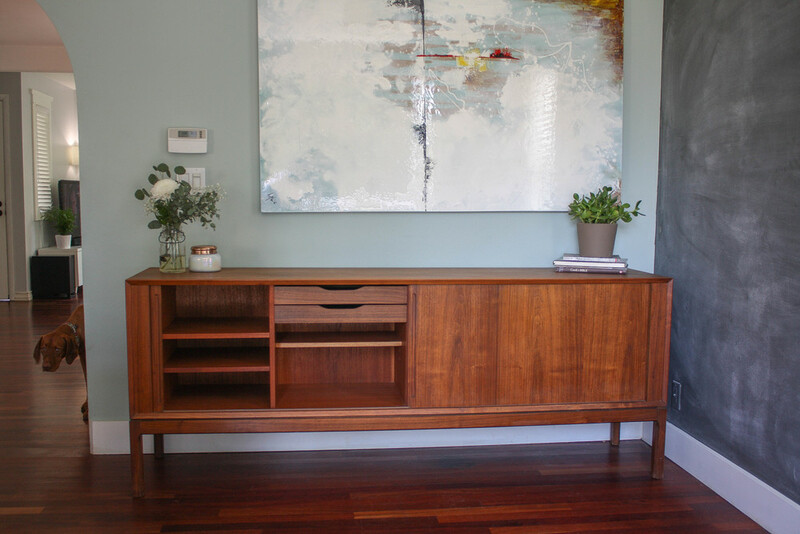 Known for quality craftsmanship and design, this credenza is in phenomenal shape with very few indications of use. 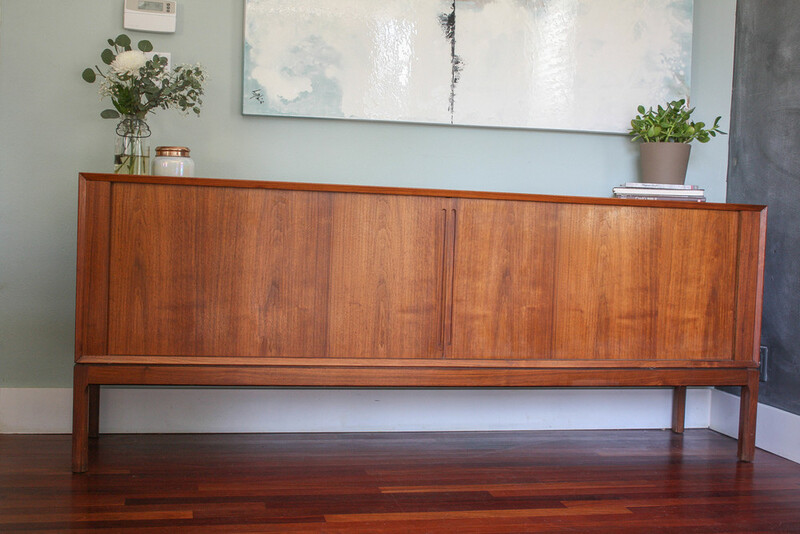 Features beautiful, hidden joint tambour doors that slide smooth and open to tons of hidden storage, perfect for your cable box, remotes, and other living room clutter. Also has the removable top hutch piece with glass sliding doors (the glass can quickly be removed if you prefer a less glossy look to the top). It has adjustable shelving on both sides and two felt lined inner drawers to store smaller items. 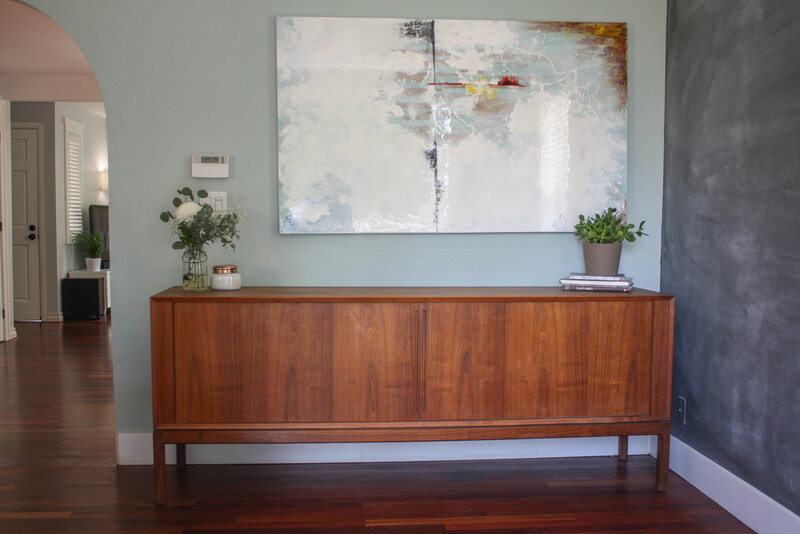 Perfect for your living room or dining area and is a real stunner.